If you are in the UK, and want to drive a Nissan GT-R and a Aston Martin back to back, here is a package for you. Two world-famous marques go head to head - with you in the driving seat. Experience the Aston Martin V8 Vantage and the brand new Nissan GT-R and discover what makes these cars so special. The gorgeous 380bhp Aston Martin Vantage is a beautifully crafted modern classic with V8 power, phenomenal acceleration and superb handling. 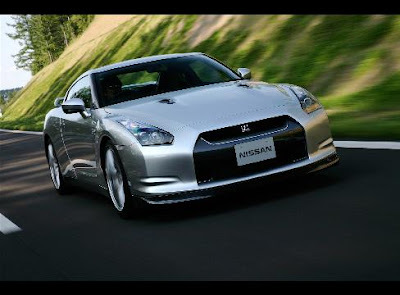 The Nissan is the UK's fastest car in its price range, reaching 62mph in just 3.5 seconds and going on to an incredible top speed of 195mph. It even lapped Germany's famous Nurburgring quicker than the Bugatti Veyron! You'll kick off with a briefing on driving techniques, then your ARDS instructor will drive you for two training laps in a BMW Alpina D3 so that you can learn the racing lines. Next, take the wheel yourself of the V8 Vantage for four laps around the 1.8 mile long track. Once you've got your breath back, step into the Nissan GT-R for a further four laps. Your driving will be assessed and you'll walk away with a certificate as a memento of your day. Red Letter Days has 158 different driving experiences. Looks like a good time.